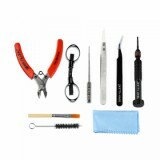 The Demon Killer DIY Kit comes with various tools for all for easy coil cleaning and building. Best for RBA lovers. Just get it as a spare part. 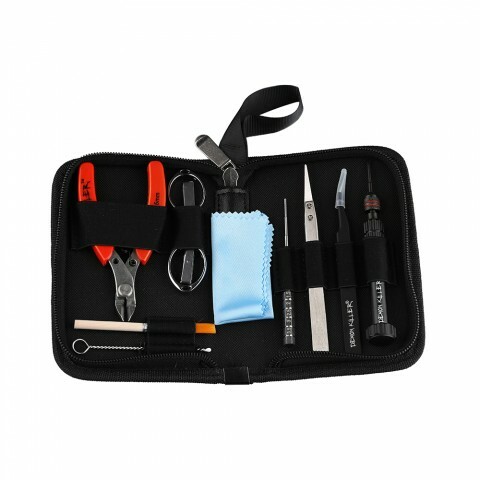 The Demon Killer e-Cig DIY Tool Kit is a Multi-Function DIY tool kit which can be used for coil building, cleaning, repairing and so on. The Demon Killer Tool Kit is designed for RTA, RDA and RDTA. Made of SS304, the Demon Killer Kit is durable and attractive. Just get it as a spare part to make your coil-building easier. • Be careful for the sharp tips. Great item as usual and expected from BuyBest The Daemon Killer e-cigarette DIY Vape Tool Kit. All item is marked with logo from Daemon Killer, all items are good quality. This toolkit with this price is probably the best one in market and is a must for every Vape enthusiast. Good quality, price and performance with very competitive price thankfully to BuyBest. Probably the best online shop with great deals on flash sales, promotions, weekly deals, SMOK deals which are my favorite selection. For every purchase the client is rewarded with points which can be exchanged in point mall. My opinion is that BuyBest should allow clients to exchange their points directly in cart (for regular deals) no more than 20 percent of value of the product. 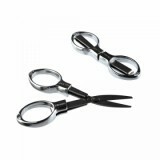 Or adequate amount of points to be exchanged in additional selection with Coupons that client can use during checkout. This will be very attractive and interesting option to attract the client and to harden their loyalty. Fast secure shipping and free from orders above 20 usd. Depends of the region the shipping in central Europe is approximately 14 days. The items are shipped maximum within 24 hours from clearing the payment. The greatest support and after sales service, very responsive, supportive and kind. In my various orders there was one issue that was promptly solved. Demon Killer e-Cig DIY Tool Kit is a Multi-Function DIY tool kit which can be used for coil building, cleaning, repairing and so on. The Demon Killer Tool Kit is designed for RTA. Yosta FCD 35 Heating Kit with a battery of 1000mAh capacity. It is a high quality pen-style heat-no-burn device with 1000mAh inbuilt battery. When fully charging, the Yosta FCD 35 can take about 20 pieces of tobacco sticks. 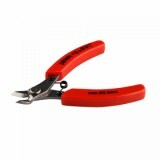 Demon Killer e-Cig DIY Tool Kit can be used for coil building, cleaning, repairing and so on. The Demon Killer Tool Kit is designed for RTA, RDA and RDTA. Demon Killer e-Cig DIY Tool Kit is a Multi-Function DIY tool kit which can be used for coil building, cleaning, repairing and many others. The Demon Killer Tool Kit is made for RTA, RDA and RDTA. The price was low and the value high! I will be ordering this cotton again. I have recommended this cotton to several people and I will continue to. Demon Killer e-Cig DIY Tool Kit is a Multi-Function DIY tool kit which can be used for coil building, cleaning, repairing and so on. Demon Killer e-Cig DIY Tool Kit is a Multi-Function DIY tool kit designed for RTA, RDA and RDTA which can be used for coil building, cleaning, repairing and so on.